Materials Horizons is delighted to announce its support of META’16, the 7th International Conference on Metamaterials, Photonic Crystals and Plasmonics in the form of a poster prize including a certificate, copy of the first ever issue of Nanoscale Horizons and also a free online subscription to one of Materials Horizons, Nanoscale, Journals of Materials Chemistry A, B or C (worth in excess of £1500). You will also be able to find our flyers in your delegate bags. Be a part of META’16 and take the opportunity to present your recent results, and meet and network with experts. The program will facilitate discussions on various current hot topics such as metasurfaces, topological effects in optics, two-dimensional materials, light-matter interaction in nanocavities, plasmonic circuits, thermal engineering, quantum photonic systems, etc. Featuring several plenary, keynote and invited speakers, the program will provide insights into the latest trends and strategies actionable to deal with the practical challenges faced by the community. Congratulations to Lingyan Julia Zhu (University of California, Riverside, USA), who was awarded a Materials Horizons poster prize at the University of California Symposium for the Chemical Sciences which took place from the 21st – 23rd March 2016 at the UCLA Lake Arrowhead conference centre. The symposium is the first of its kind and brought graduate students and postdoctoral researchers from across the University of California together, to network and start up new collaborations. Further information about the symposium can be found here. The Graphene2016 conference will be taking place in Genoa, Italy from the 19th – 22nd April 2016 will cover the whole value chain of “Graphene and 2D Materials Innovation” from most recent scientific discoveries to breakthroughs in large scale material production and integration towards the development of innovative and competitive commercial applications. The Graphene Conference is a consolidated event and considered the largest European event in Graphene and 2D Materials. 2016 will stand as a cornerstone event during which all communities will be able to share a common vision of the present and future of 2D materials-based science and technologies. The deadline for the early bird fee at Graphene2016 is February 26, 2016 and can save you €100. The number of abstracts (poster and oral) submitted in this edition has clearly exceeded the past editions (around 450 requests). There will be a total of 71 keynote & invited speakers with 102 oral contributions and 341 poster contributions along with talks, workshops and an exhibition. 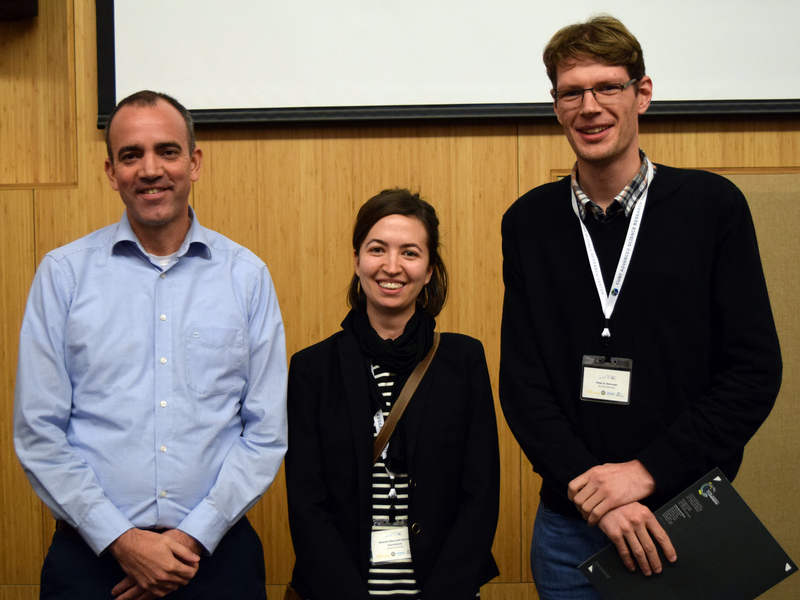 Materials Horizons congratulates Noemie-Manuelle Dorval Courchesne for her poster prize award at the Active and Adaptive Materials Conference which took place at the City University of New York, New York from the 22nd – 23rd October 2015. The conference focused on a number of different research fields in nano-molecular chemistry and featured with International speakers: Dr. Lee Cronin of the University of Glasgow, Dr. David G. Lynn of Emory University, Dr. Jan van Esch from Delft University of Technology and Dr. Samuel I. Stupp amongst others. 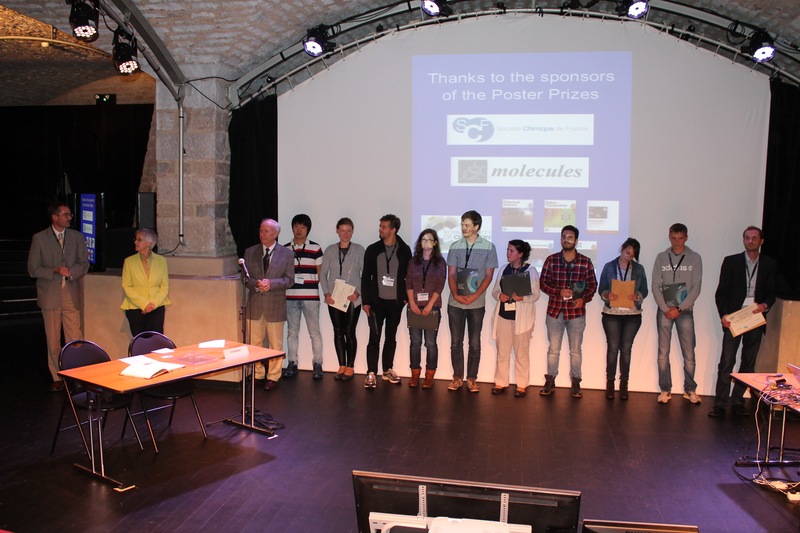 A poster session was held on the ground floor with one of the prizes being awarded from Materials Horizons. Previous conferences have been held in Alghero (1992), Como (1996), Camerino (2004), Garmisch-Partenkirchen (2008) and Granada (2011) with the intention of attracting scientists with an interest in the field of metal-nitrogen ligand chemistry from Europe, abroad and in particular, young scientists. This two-day symposium will focus on active and adaptive nanomaterials on October 22nd and 23rd, 2015 at CUNY’s Advanced Science Research Center. In addition to presentations from Internationally-recognized leaders in nano-molecular chemistry, there will be contributed talks, tours of the facility and a poster session in the ground floor lobby. Big congratulations to the poster prize winners at the 12th International Symposium on Functional π-Electron Systems (Fπ-12) which took place in Washington, USA from the 19th – 24th July. Matthias Stolte (Universitat Wurzburg, Germany) and Amir Mazaheripour (UC Irvine) were awarded first place poster prizes sponsored by Materials Horizons and Journal of Materials Chemistry A, whilst the runner up prizes were sponsored by Materials Horizons, Journal of Materials Chemistry B and Journal of Materials Chemistry C. These were presented to: Sahika Inal (CMP-EMSE, France), Nathan Kirchhofer (UCSB), Ana Fokina (Johannes Gutenberg-Universitat Mainz) and Suhyun Jung (Gwangju Institute of Science and Technology). Titles of their winning posters can be found here. The symposium regularly attracts world-wide participants who meet to discuss their new achievements in research fields. Another symposium, scheduled for 2017 will take place in Hong Kong and will be titled Fπ-13. Further information about the symposium including the program and speakers from this year can be found by clicking here. Materials Horizons would like to give a hearty congratulations to PhD student Mr. Yasuyuki Irie for his poster titled: ‘Single component self-standing films based on carbazole terminated polyhedral octasilicate-core dendrimers’ which was awarded a prize at the US-Japan Workshop on Advances in Organic/Inorganic Hybrid Materials 2015 which took place in Himeji, Japan from the 18th – 22nd May 2015. The purpose of the workshop was to showcase new research and application directions in the area of organic/inorganic hybrids, inorganic polymers, and nanocomposite materials and provide an interdisciplinary forum for the presentation of new and unpublished results in the area as well as providing a special opportunity to exchange ideas and information between leading US and Japanese researchers in the field. Materials Horizons would like to congratulate the following poster prize winners at the recent MCARE 2015 (Materials Challenges in Alternative & Renewable Energy) conference which took place in Jeju, Korea on the 24th – 27th February. First place poster prize was presented to Bit Na Choi, (Sungkyunkwan University) for her poster titled: ‘Metal-conducting polymer hybrid electrode for an electrochemical pseudo-capacitor’ and Runner up prizes were awarded to Yongwoo Kwon, (KAIST) and HongJoon Yoon, (Sungkyunkwan University) for their posters titled: ‘Shape effect and metal oxide coating of Cu2O particles on stability in water and photocatalytic water splitting’ and ‘Highly effective piezoelectric nanogenrator and self-powered pressure sensor using micro-structured film’. The conference is hosted by the Korean Institute of Chemical Engineers and aims to bring together global experts from academia, industry and government agencies, allowing for a unique opportunity for discussion and collaboration essential to propelling multi-disciplinary, innovative and sustainable solutions in the field of alternative and renewable energy. Further information about the conference can be found on the website. This workshop aims at giving an up-to-date description and review of the different materials and technologies currently being implemented for various energy applications, with a special focus on renewables. It will be organized in three main blocks: materials for energy conversion, materials for energy storage, materials for an efficient use of energy. The 5 Plenary sessions will cover the fundamentals of each thematic axis. Related topics such as modeling and characterization will be tackled both through the plenary talks and the lectures.